Restored 1982 Suzuki GS850L Motorcycle. 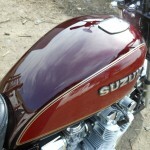 This Suzuki underwent a two year restoration to make it run and handle well. The frame was blasted, etch primed and powder coated metallic anthracite black with clear lacquer. The original fasteners were bright zinc plated. 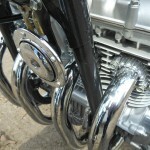 The footrest mounts, cam end covers, exhaust front pipes, exhaust finned clamps and the heat shields were triple chromed. The paintwork was colour matched and redone to the original specification by Dream Machine. NOS parts used include the headlamp brackets and a rear mudguard. 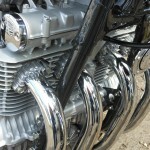 The engine was stripped, checked and rebuilt with new gaskets. 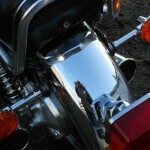 The cases were cleaned, prepared and refinished in the correct shade of Suzuki silver. 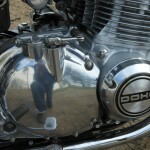 The carburettors were cleaned and set up with new genuine Mikuni diaphragms. The wheels were cleaned, polished and repainted. The calipers were rebuilt with new seals. 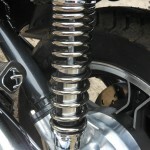 The front forks were filled with new oil and new seals were fitted. New rear progressive rear shocks were fitted. A really great restored Suzuki GS850L Motorcycle. 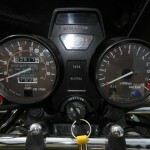 Suzuki GS850L – 1982 For Sale or Wanted? If you're looking for the perfect Suzuki GS850L – 1982 for sale then take a look at the hundreds of restored classic motorcycles listed on our extensive Motorcycles For Sale pages. 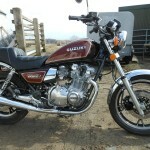 We regularly feature very nice restored Suzuki GS850L – 1982 bikes for sale. 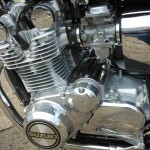 Spares and Parts for your Suzuki GS850L – 1982? Workshop Manual for your Suzuki GS850L – 1982?